The Skilled Nominated Visa (190 visa) is a permanent visa for eligible highly skilled workers to meet skill needs in the state of NSW. We have a selection-based invitation process for the 190 program. How does the NSW Skilled Nominated program work? NSW Department of Industry nominates eligible people to the Australian Government and does not grant visas. The granting of all visas is administered by the Australian Government and it follows a visa application process managed entirely by the Department of Home Affairs. All enquiries about visa processing, visa conditions or future visa applications need to be directed to the Department of Home Affairs. For more information, read the How to apply – Skilled Nominated (subclass 190) visa fact sheet. An expression of interest or EOI is a method of showing your interest in applying for a skilled visa to migrate to Australia. To submit an EOI, you need to complete the online SkillSelect form, which asks a series of questions about your skills depending on the visa subclass you select. Can I apply for the 190 visa without being invited to apply by NSW Department of Industry? No, you need to be invited by us in order to apply for NSW 190 nomination. Where can I get migration advice? NSW Department of Industry does not provide migration advice. For specialist migration advice, consider using a registered migration agent. You can find a registered migration agent at the Office of the Migration Agents Registration Authority (MARA). What if I'm unhappy with the service I have received from a migration agent? Registered migration agents are expected to follow MARA’s Migration Agents Code of Conduct and act in your best interest. If you are unhappy with the service you have received, you can make a complaint to MARA through their resolving disputes page. Do I need permission to buy real estate in Australia? Australian permanent residents do not need to seek foreign investment approval to buy residential real estate in Australia. Visit the Foreign Investment Review Board for detailed information. I don’t currently meet the requirements for NSW nomination but will meet them soon. Can I submit my EOI in SkillSelect now? When you submit your EOI, you need to ensure all information contained in the EOI is correct and can be supported by evidence. If you are invited, you will need to provide evidence to support the claims that you submitted in your EOI. Should I claim all my previous employment in SkillSelect? You should only claim employment that is recognised as 'skilled' (i.e. that is related to your nominated occupation and after you met the minimum benchmark to be considered skilled in your occupation). The SkillSelect help text offers information about how to make sure your SkillSelect EOI is accurate. I have claimed points for skilled employment. Do I need to provide evidence to support this claim? Yes, you need to ensure that you submit appropriate evidence to support any claims about your skilled employment. All ICT professionals who claim points for skilled employment need to obtain a skilled employment assessment by the relevant skills assessing authority. What should I do if I’m invited by NSW, but my claims are now less than what was in my EOI? You should not apply. Your invitation was based on claims made in your SkillSelect EOI when you were invited. If the points score in your NSW nomination application is less than the points score that was in your SkillSelect EOI at that time, your application will be declined. Our application fees are not refundable. If there are exceptional circumstances that prevented you from submitting supporting evidence with your application, email skilled.migration@industry.nsw.gov.au with supporting evidence and quote your Skilled Reference Number (SRN) in the subject line of the email. The SRN number can be found in the system-generated email you receive after making successful payment. We cannot guarantee a favourable outcome to your request. Can I lodge more than one EOI if I have more than one nominated skilled occupation? You can submit more than one EOI if you meet the eligibility requirements and are qualified in more than one skilled occupation from the NSW 190 Skilled Occupation List. If you are invited to apply, you need to provide a suitable skills assessment for the occupation nominated in your EOI. How and when will I be contacted after I have submitted my EOI in SkillSelect? The department will only contact you if are selected to apply for NSW nomination. The department determines how many invitations are issued on an ongoing basis and the top-ranking candidates in each occupation category will be the first to be invited to apply. When does NSW Department of Industry issue invitations? We send invitations to candidates to apply for NSW nomination on an ongoing basis. We don’t have any specific dates for when or how many invitations are sent. What is the likelihood that I will be invited to apply for NSW nomination? The NSW selection process is competitive. The NSW Department of Industry will select and invite the top-ranking candidates on a regular basis. We cannot estimate whether you will be invited. How long does an EOI last? An EOI remains valid in SkillSelect for two years from the date of submission. During the selection process, we will consider all valid EOIs that express interest in NSW nomination for the 190 visa. The top-ranking candidates in each occupation will be selected and invited to apply. What happens if I am invited by the NSW Department of Industry for NSW nomination but I do not see the invitation email? We send invitations to skilled migration applicants by email. You need to regularly check the email account that you recorded in your EOI. Our invitations are sent from digital.services@industry.nsw.gov.au. Make sure that this email address is not blocked by your spam filter. NSW Department of Industry issues only one invitation per each EOI. If you are invited but do not take up your invitation, you will need to submit a new EOI in SkillSelect to be considered for a further invitation. As the selection process is competitive, there is no guarantee that you will receive another invitation at a later date. How long do I have to submit my application for NSW nomination? Invitations expire after 14 days and you will not be able to apply after this date. Your invitation email shows the expiry date and time of your invitation. Your invitation will expire after this time. If you receive an invitation to apply for NSW nomination but do not apply within the 14 day period, you will need to submit a new EOI in SkillSelect in order to be considered for selection at a later date. As the process is competitive, there is no guarantee that you will receive another invitation. Can I submit more than one application for NSW nomination? We issue the invitation against the unique EOI that you entered in SkillSelect. If you apply for NSW nomination, but withdraw your application or it is declined, you will need to submit a new EOI in SkillSelect to be considered for selection and invitation again. The selection process is competitive and we cannot guarantee that you will receive a second invitation. How many times can I access the application form? We have limited the number of times that you can access the application form through the link in your invitation email. This is a security measure to prevent sharing. The link to the application form will not work if it’s accessed more than the allowed limit. This includes opening the form in too many browser tabs or windows, or by refreshing the application form repeatedly. You will be able to access the link a limited number of times within a 14 day period. Excessive use will stop the link from working. I don’t need to use my invitation. Can I give it to someone else? Invitations are not transferable. Do not share your invitation email or the link with anyone else. Applications are not transferable - NSW Department of Industry will not accept applications from candidates who have not been invited to apply. I am an ICT professional and am claiming points for skilled employment. I was told that I need a skills assessment that states my 'skilled date'. What is this? NSW requires all ICT professionals claiming points for skilled employment to provide an Australian Computer Society (ACS) skills assessment that clearly identifies your 'Skill Level Requirement Met Date'. Under ACS’s framework, your skilled date is the date after which you can claim skilled employment. If you have continued in relevant skilled employment after your skills assessment was issued by ACS and after the 'Skill Level Requirement Met Date' and want to claim skilled employment points for this period of time, you need to provide supplementary evidence. This could include a contract of employment, pay slips or other documents. What internet browsers are compatible with the application form? We recommend using Google Chrome when submitting an application through the online form. How should I submit my evidence? We recommend that you upload your documents as separate files and that the total size is less than 25MB. Make sure the file sizes are not too big, as this can significantly slow down the upload process. Check that you have submitted all documents required for your application. Can I save the application form? No, the NSW online application form cannot be saved. You should only apply when you’re ready to enter all of your claims and submit your application with your supporting documents. If you close the online form without submitting, the information you have entered will be lost. You should allow up to 40 minutes to complete your application form online. Colour copies of original documents do not need to be certified. In rare cases, we may request a document to be certified if the content of your scanned colour copy is not clear. You will be contacted if this is required. Please be aware that this applies to the NSW application process only. The Department of Home Affairs may have different requirements for providing supporting documents for the visa application. Does my evidence have to be officially translated? Yes, documents in languages other than English need to be accompanied by an English translation. You also need to include copies of the original documents. If you are in Australia: translations need to be undertaken by a translator accredited by the National Accreditation Authority for Translators and Interpreters (NAATI). Do I need employment references or other evidence? If you are claiming points for skilled employment, you need to provide evidence. This can be a Skilled Employment Assessment issued by the relevant assessing authority or an employment contract, pay slips or employment references. Your evidence should show the relevant employment dates related to your nominated occupation. Can I provide new or additional evidence after I’ve submitted my application? It is very important that you submit a complete application. A complete application demonstrates that you are eligible to be nominated for the visa. If you do not provide all required information with your application, your application may be declined. Supporting evidence provided after the application has been submitted may not be considered. I’ve submitted my application for NSW nomination but some of my details are incorrect. What should I do? Email skilled.migration@industry.nsw.gov.au explaining your circumstances and providing the correct information. Quote your Skilled Reference Number (SRN) in the subject line of the email. The SRN is contained in the automatic email you receive after making a successful payment. Remember that the claims you submit in your nomination application have to be the same as what you’ve submitted in your SkillSelect EOI. Do not overstate your points claims in SkillSelect in order to secure an invitation to apply. What happens after I submit my NSW application for nomination? See processing times and status updates for more information. Can you prioritise my EOI and invite me under special circumstances? No, we select and invite the highest ranking candidates when we issue invitations. We are not able to prioritise candidates or issue individual invitations on the basis of your visa expiring or the loss of points. The subclass 190 visa is designed to contribute to meeting skills needs in NSW. We encourage you to think of NSW 190 nomination as a possibility rather than a guarantee. 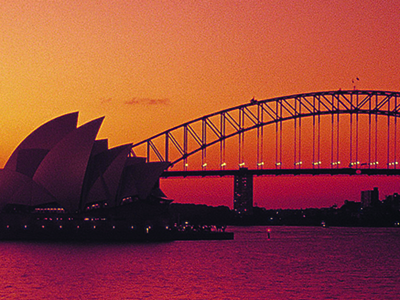 If you are in Australia and your visa is expiring, you will need to look at other options. You can research other visa options on the Department of Home Affairs website. If you have been invited, applied for NSW nomination and will soon lose points for age, email us at skilled.migration@industry.nsw.gov.au. We will try to ensure your application is assessed before you lose any points, but cannot guarantee this. How much does it cost to apply for NSW nomination? Visit the Invitations page for information on current nomination fees for the Skilled Nominated (subclass 190) visa. If you interested in the 489 visa, please refer to the relevant region’s website. Our Regional migration page lists the NSW regions participating in the Skilled Regional Nominated (subclass 489) visa program. Each region has its own schedule of fees. Can I get a refund for my application fees? No, nomination application fees are not refundable. What happens if I don’t make a payment or if there’s a payment error when I submit my application? You need to make payment at the time that you submit your application. If there was an error when you attempted to pay, click the ‘back’ button at the bottom of the screen and re-enter your credit card details. If you still are having difficulties submitting your payment email skilled.migration@industry.nsw.gov.au or call +61 (2) 9934 0702 between 10.00 am and 12.30 pm (Sydney time) Monday to Friday. After I have recorded my details in my SkillSelect EOI, how long can I expect to wait before I am selected and invited to apply for NSW nomination? There is no set time frame for selection. You will only be contacted by us if you have been selected. EOIs are valid in SkillSelect for two years from the date of submission. There is no guarantee that you will be selected, but you will remain eligible to be considered for selection as long as your EOI is still active and you still meet the NSW eligibility criteria. As the selection process is competitive, there is no guarantee that you will be invited to apply for NSW nomination. How long will it take to assess my application for NSW nomination? The standard processing time for a nomination application for the 190 visa is up to six (6) weeks*. This is only if you have been invited and have submitted an application to NSW. *An EOI is not an application. There is no timeframe for receiving an invitation after you have submitted an EOI SkillSelect. Invitation to apply for NSW nomination is not guaranteed. How do I find out the processing status of my application? We manage a high volume of applications and enquiries on a daily basis. Because of this, we are unable to provide you or your authorised representative with any progress update within the first six (6) weeks of receiving the application. We appreciate your help by not contacting us about enquiries within the first six (6) weeks. We will contact you or your authorised representative by email once a decision on your 190 application is made, or if further information is required. How long is the Department of Home Affair’s visa processing time? Average visa processing times for are available on the Department of Home Affairs website. How can I find more information about my visa conditions? NSW Department of Industry does not grant visas. You or your authorised representative must contact DIBP about your visa status and conditions, visit their website for contact details. My documents won't attach, how can I fix this? The online application form isn’t calculating my points claim correctly, what should I do? First, check you have entered the points-related information correctly. If this doesn’t resolve the issue, email skilled.migration@industry.nsw.gov.au and describe the issue, using ‘Technical Assistance request' in the subject line. What should I do if my form won't submit? Make sure you have entered all the mandatory information. All mandatory fields are marked with a red asterisk *. If this doesn’t work, email skilled.migration@industry.nsw.gov.au and describe the issue, using ‘Technical Assistance request' in the subject line. I refreshed my browser and the information disappeared, what should I do? You should not refresh the page or go back to the previous page before submitting the application. If you do, all the information will be lost and you will have to start the application process again. You need to use the calendar button to select your date of birth. Keyboard entry will not work.